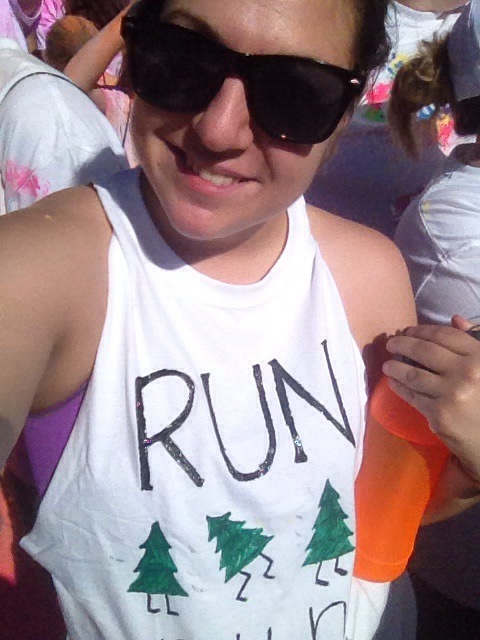 Today was my second 5K run and I was so ready. Run or Dye here I come! Clothes laid out last night, bag packed, fun t-shirts made and drying. So ready. Here are some pictures from last night/ this morning. I used Jerri Elle’s hash tag on the back of my shirt and I couldn’t believe how many people came up to me during the run to tell me they liked my shirt. It was unexpected, but made me feel really good as I was running. 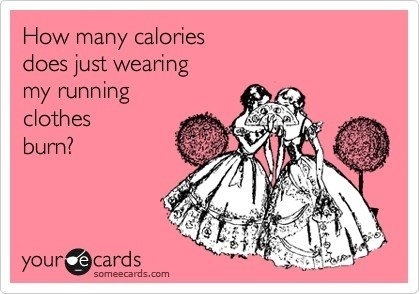 Running memes are completely necessary the morning of a run. Slightly serious and always funny, I feel like I’m going to crush it just by putting on my shoes. Waiting in line for the race to start. Now let me explain the shirt. I thought people would get it, but clearly I was wrong. It’s supposed to be like “Run, Forrest, Run”. Kristy, however, was confused and goes “I didn’t get it. 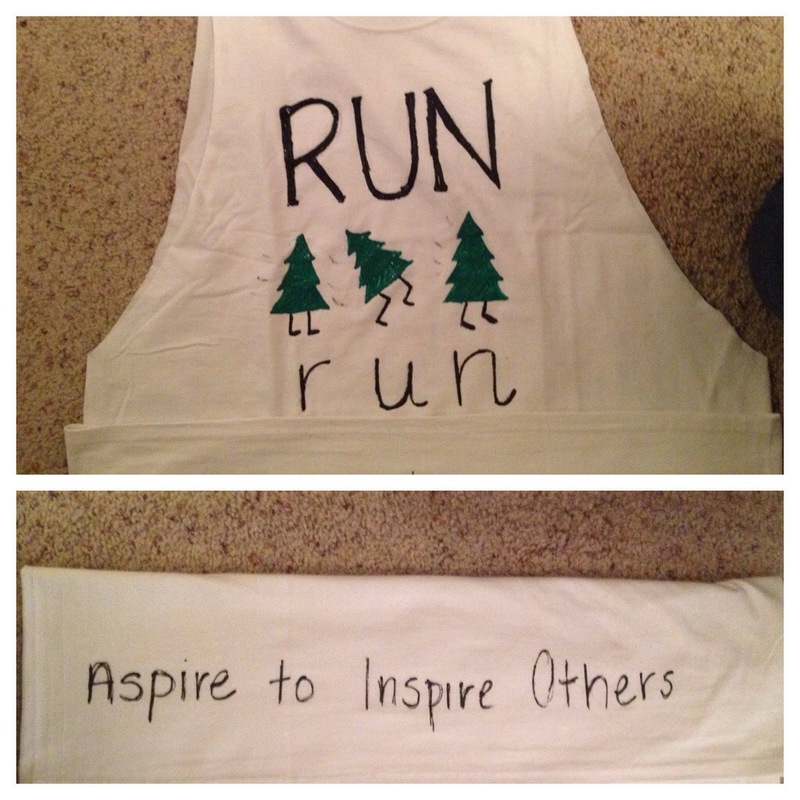 I kept thinking Run Evergreen, Run Christmas tree.” Once I explained it, it made sense. So much for trying to be creative. 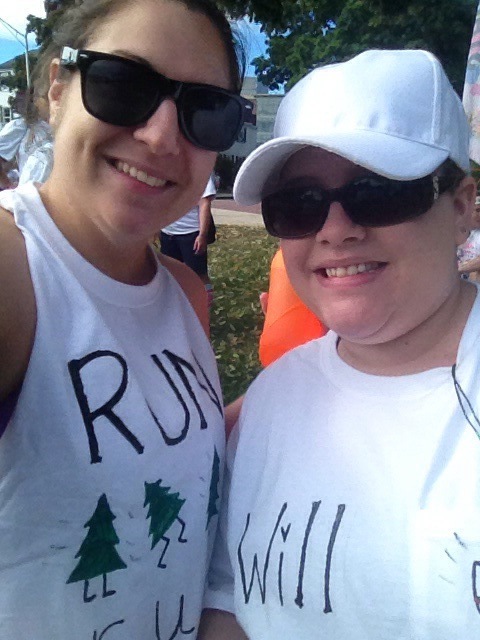 Me and Kristy pre-race. 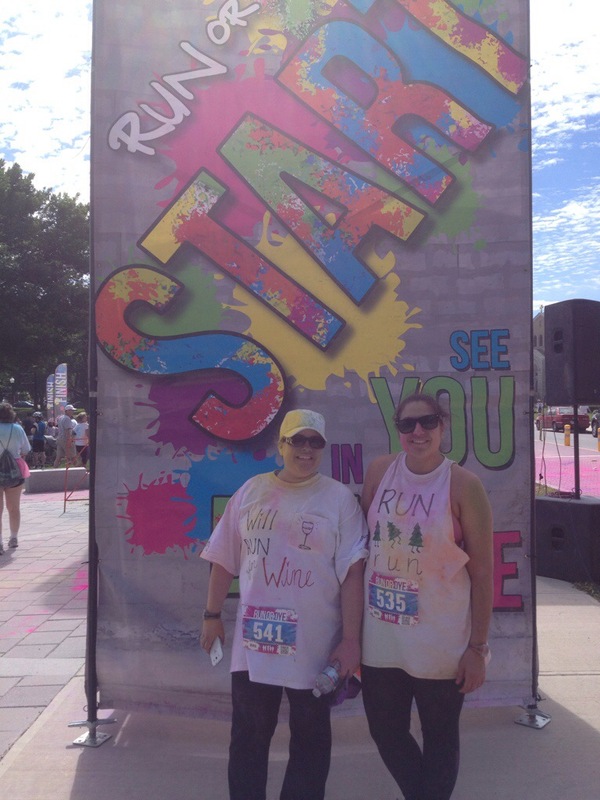 I made her shirt say “Will run for wine.” I’m brilliant sometimes. More pre-race photos. 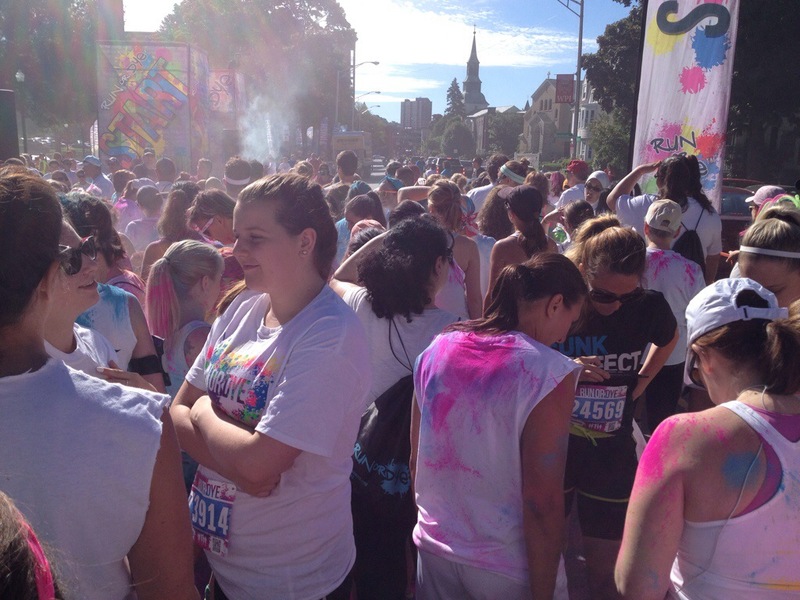 There were 3,500 people running today. Not as many as the last one I did, but still a good number for the location of the race. Me and Kristy running by our offices. 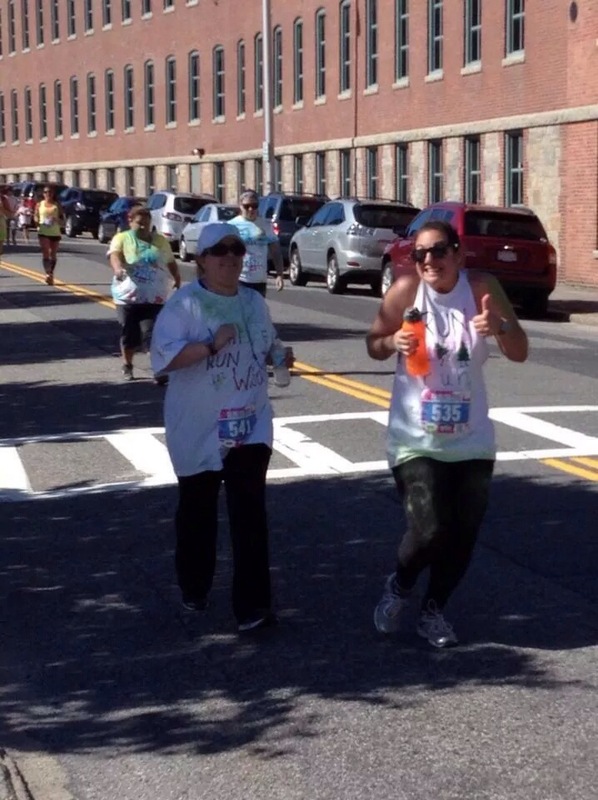 Our co-worker, Diane, came out to watch us run and she snapped some photos are we ran by! It was great having her support us! Me and Kristy post-race. 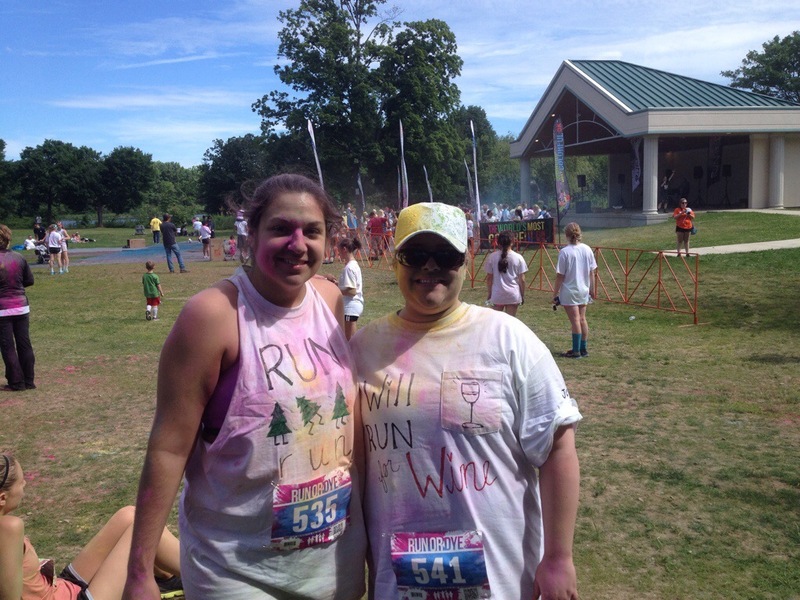 I wish I had more color on me, but the color stations weren’t well manned. I think they had fewer volunteers than they wanted/needed. 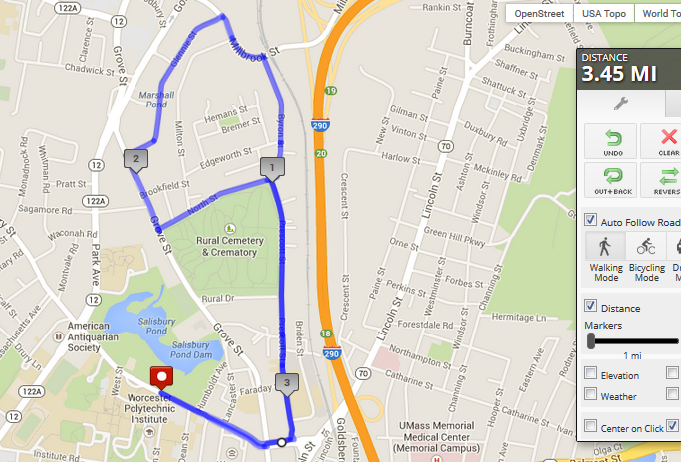 Here’s the route of the race… I will say this race was very unorganized. Worcester didn’t even block off streets for runners. Do you know how scary it is sharing the road with a truck that won’t move over in the lane designated for them? There weren’t enough cops guiding traffic or keeping us safe. At the beginning of the race, about a half mile in, we were stopped by a cop so he could let traffic threw. If you’re going to commit to hosting a race, then fully commit. 3,500 extra people in the city spending their money and time is probably worth it. Regardless, we ran farther than a 5K, so I’m super proud of Kristy and I for running a 15:24 mile pace with her back injury. I’m running at a 9:45 mile pace, but this was a fun run and after talking about what pace we would keep, we decided to stick together. Today was a super busy day in Worcester. 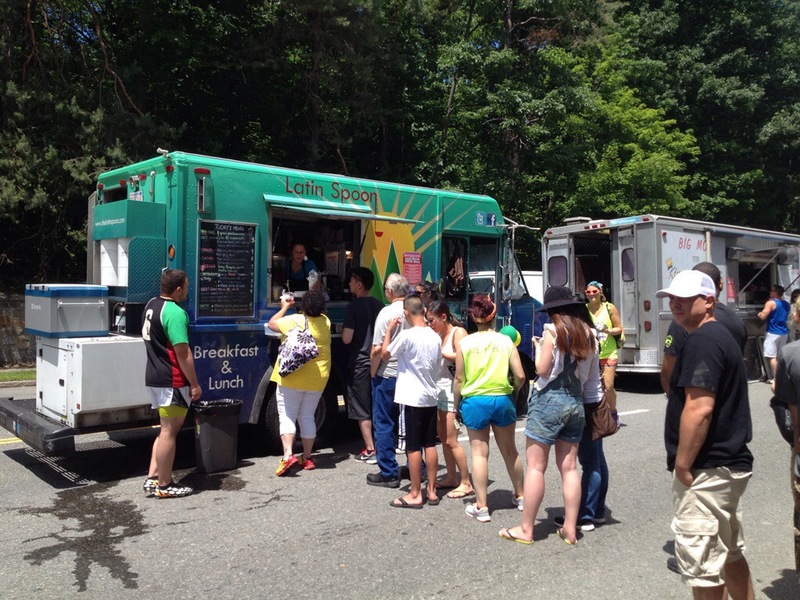 Not only was the Run or Dye 5K going on at Institute Park, The Food Truck Festival was going from 11 to 4 pm today a few blocks away. I went home and striped in the kitchen- the only place without carpet in my apartment, showered and scrubbed. 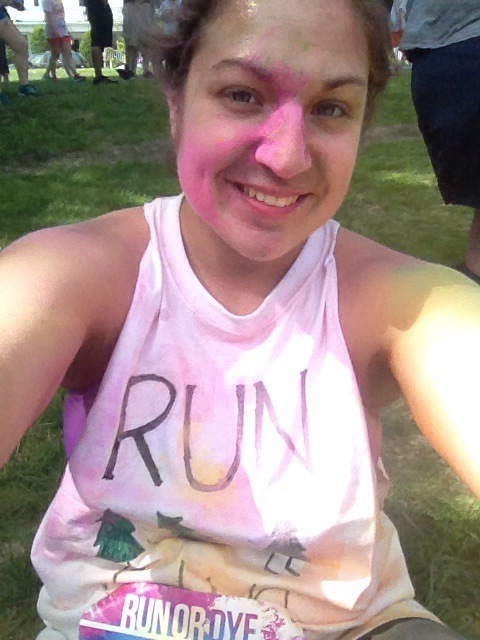 Thankfully, almost all of the color came off my body and out of my hair. I did get pink powder up my nose, so I will not be using my nose spray today. Bring on the pink boogies! 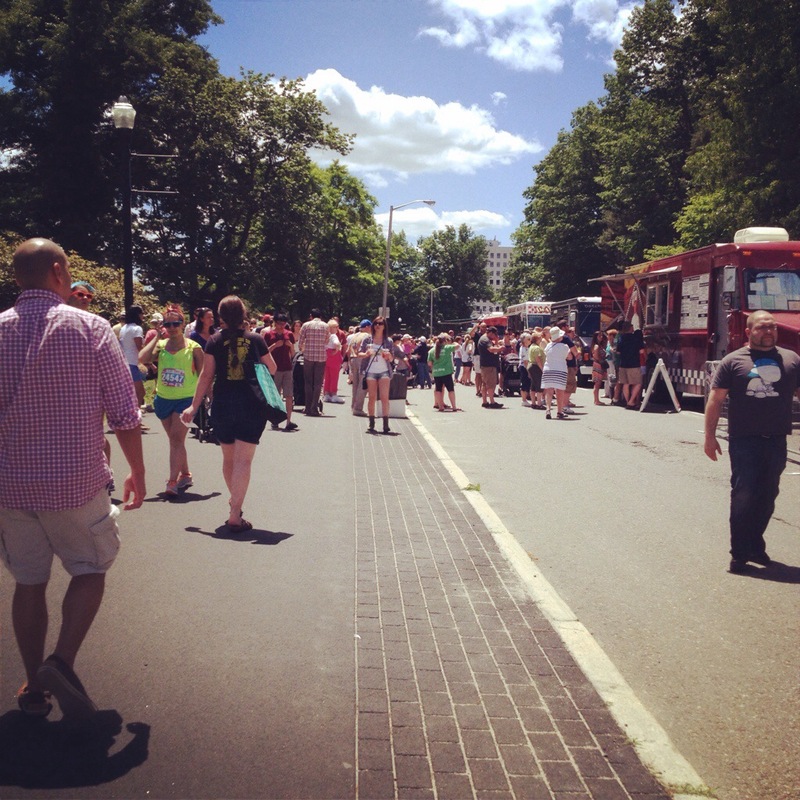 After I cleaned up and threw back some post-run protein, I packed up my lunch and headed to the Food Truck Festival. Now, I know the point of the festival is to pig out on all sorts of goodies, but I’m clean eating and with 133 days until competition with a lot to lose, I’m not trying to cheat. My curiosity did get me hooked and that’s why I went. I stayed for about an hour and a half, mind you it’s probably about a third of a mile stretch, but I walked up and down a lot. I also took a bunch of pictures and tried to have some fun while not binging on the surrounding goodies. Here are some of my favorite trucks. 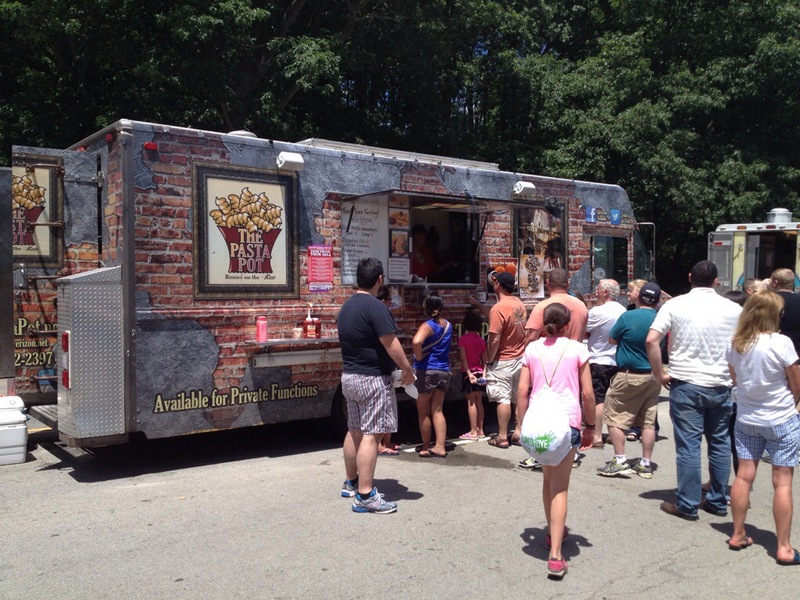 This truck is a family owned restaurant and primarily serves the Boston area, but they travel to various food truck festivals. They a variety from meatballs to mac and cheese. 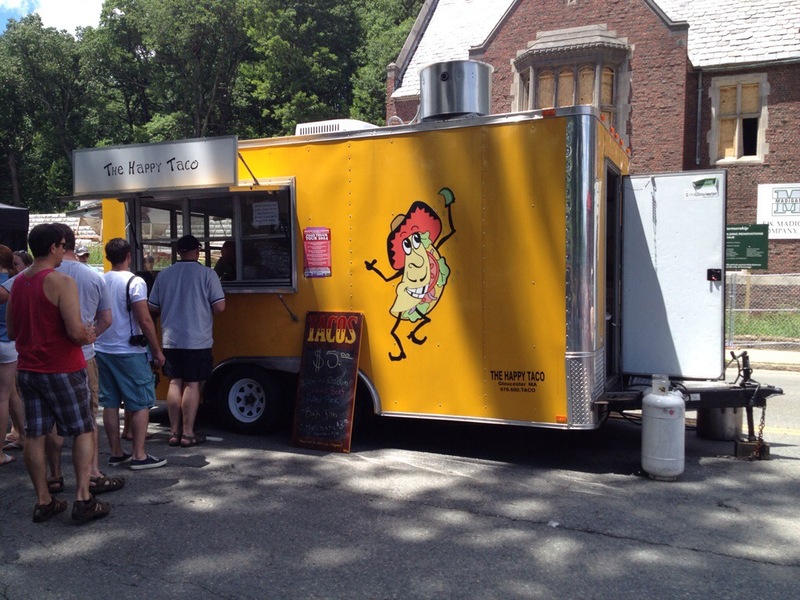 The Happy Taco truck is out of Gloucester and has a variety of tacos from your typical beef taco to smoked duck and baja fish tacos. 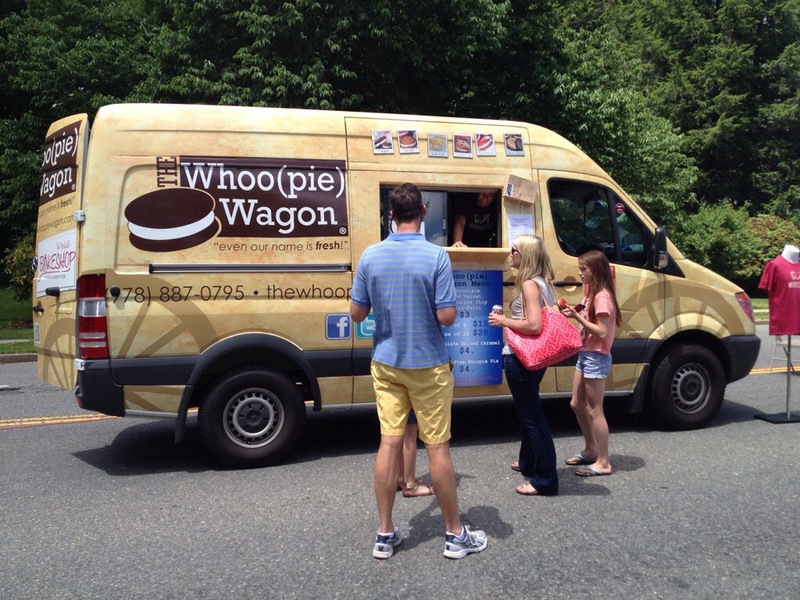 Yep, a cookie truck. They had HUGE cookies and even had cookie ice cream sandwiches. You have no idea how hard it was to resist. 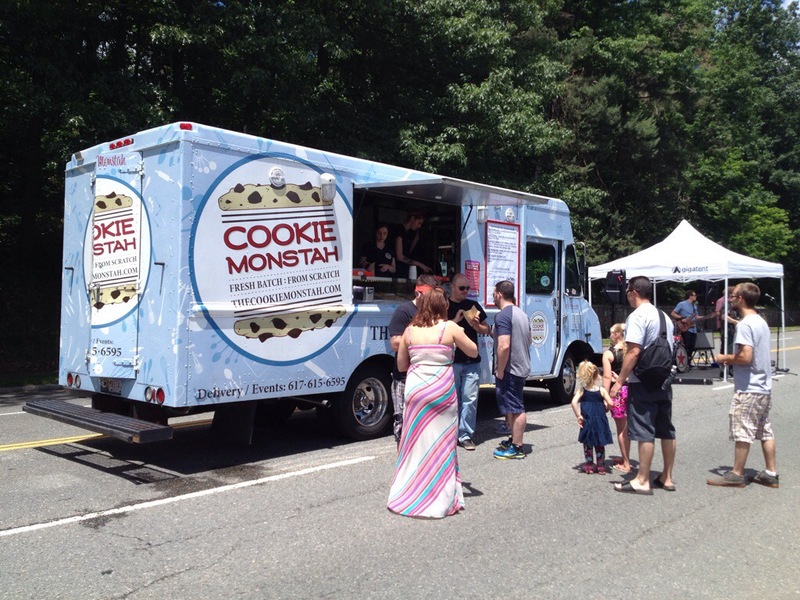 The Cookie Monstah truck look freakin’ awesome, and it made me realize that I need to find an alternative for cookie dough if I’m going to expect to last another 133 days. It was also giving me ideas for my cheat meal post competition. Aside from cookies, I would’ve binged on a good old hot dog. I grew up eating hot dogs and burgers, what kid doesn’t. But I grew up putting practically everything on them. Sauerkraut, relish, mustard, ketchup, onions, hell even mushrooms and peppers if it was kabasi. 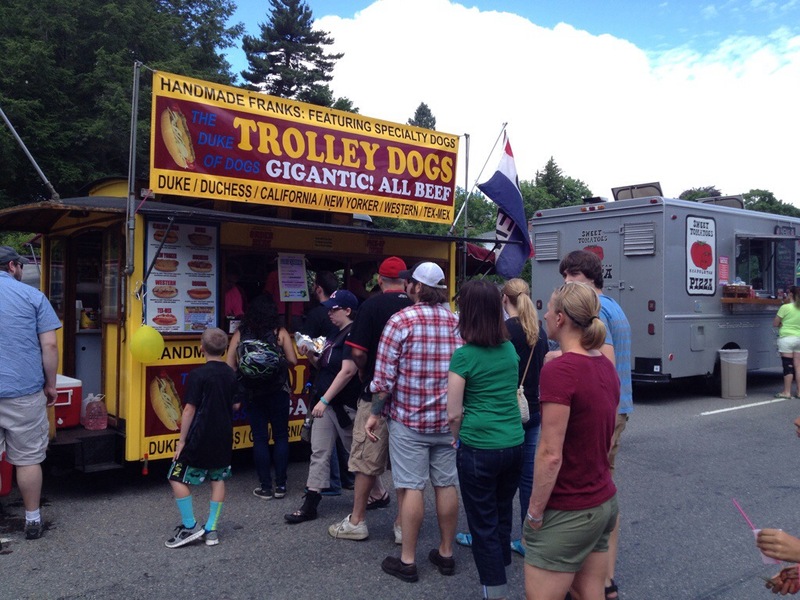 This truck had every kind of hot dog topping combination possible. It smelled awesome walking by. Does this one need an explanation? This truck is an extension of a restaurant that I’m going to have to visit! 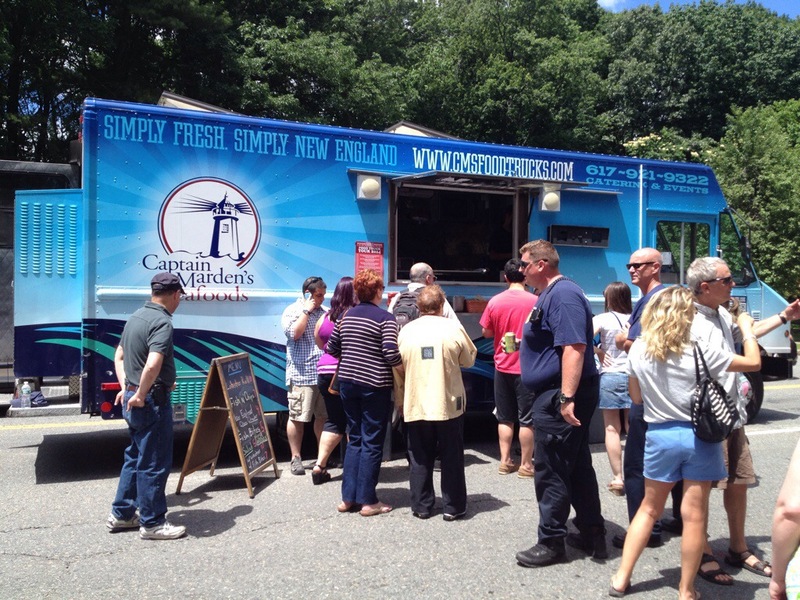 There’s calamari, haddock sandwich, lobster roll… this list keeps going. Seafood goodness is in this truck. I may need to trip down to Wellesley to enjoy the restaurant. 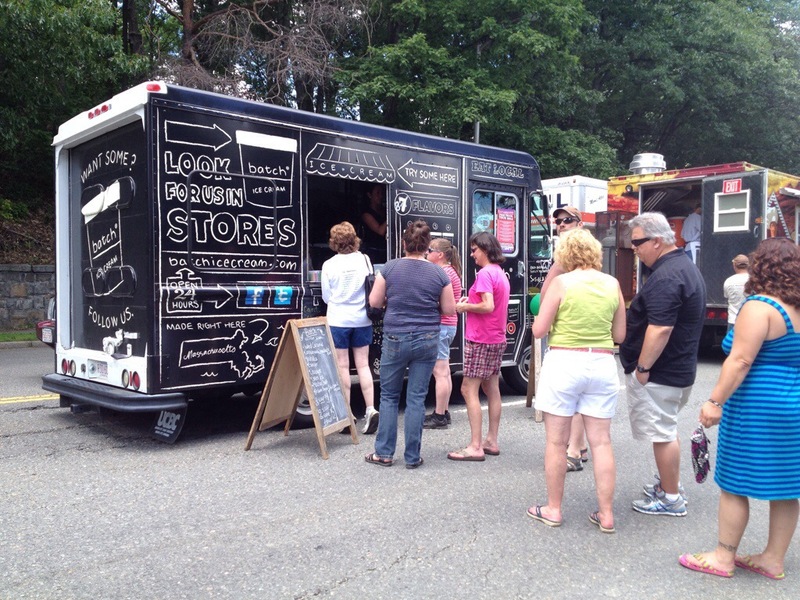 Yay ice cream truck, but it’s all about supporting local, fair trade and the best ingredients. 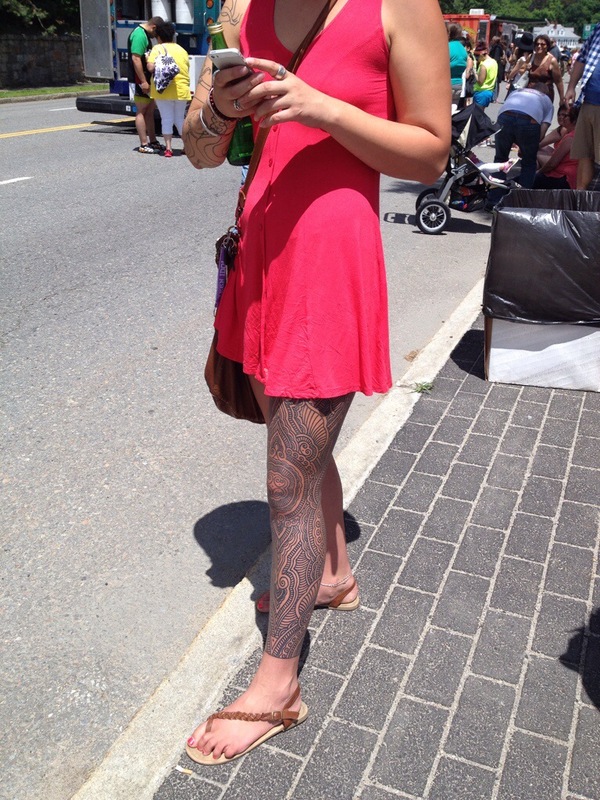 While I was walking around, I saw this woman, probably about my age with the most insane tattoo. I introduced myself and asked if I could take a picture because the tattoo was seriously the most awesome thing I had ever seen. She laughed and said I could and that most peope don’t ask they just do it. She said she went to Brooklyn over Easter and it took 9 hours in the chair to finish it. 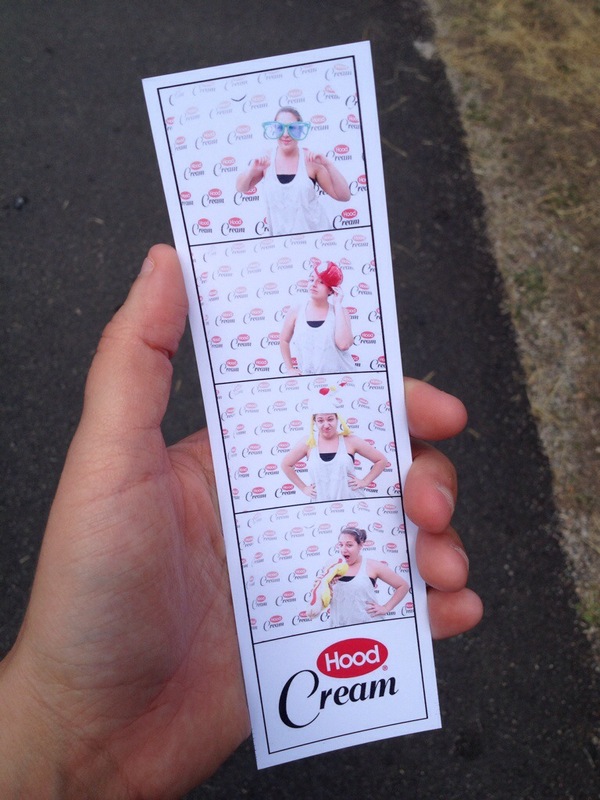 Since I wasn’t indulging in the food, I tried to find myself some fun and free stuff. Hood Cream had free coffee and ice coffee.I haven’t had coffee in over 2 weeks, but these were tiny 4 ounce cups and one cup wouldn’t kill me. 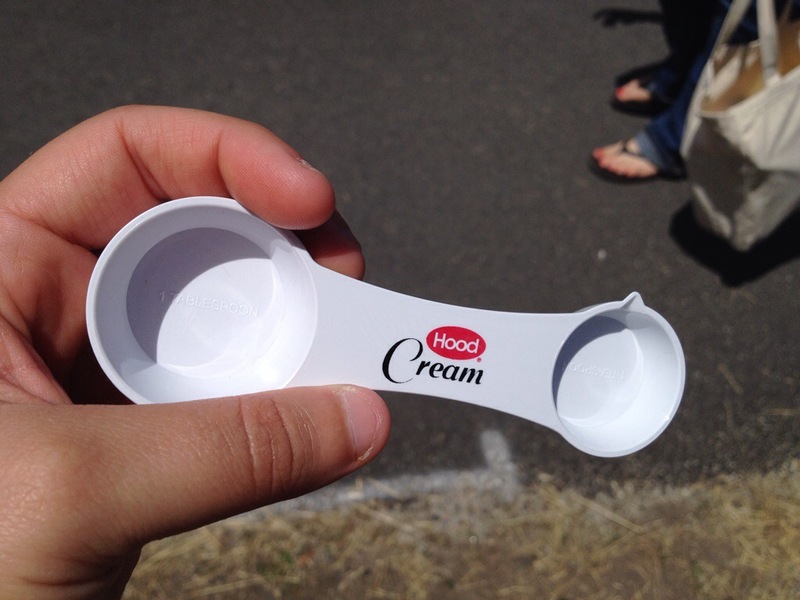 Ok, I may have had two 4 ounce cups, with one cream each. While I was standing around I noticed they had a few things at their table: a free photo booth and a spin the wheel to get a prize. I’m a special kind of crazy. After spinning the wheel, I landed on a measuring spoon. Silly I know, but I don’t think you can ever have enough kitchen gadgets. I will say I was hopeful for the oven mitt, hhaha. What does that say about me? I can’t wait to use my little measuring spoon. All in all, today was pretty awesome. I caught a bunch of sun too. I can’t wait to be able to enjoy the greasy goodness next year, but my $5 for walking around was well spent. This qualifies for Day 48 of 100 Happy Days. What kind of Saturday have you been having?